Men of Winter, A Revised & Expanded Edition, is available in paperback via Amazon, Barnes & Noble, and Espresso Book Machine from Twelve Winters Press. Also available for Kindle and Nook. See the Press’s Fiction Titles page for a list of global booksellers. Read the first chapter on Wattpad. Listen to the first chapter, read by the author. Praise for Men of Winter . . . In Men of Winter, Ted Morrissey takes us into a physical landscape and literary territory that recalls the great Russian writers. But make no mistake: this is not merely homage. It is a modern tale — one that explores the frailties of humanness, and the perseverance it takes to maintain dignity. Intimate in tone, but epic in scope, Ted Morrissey’s novel captures the otherworldliness of early twentieth-century Russia in prose that is both literary and accessible. 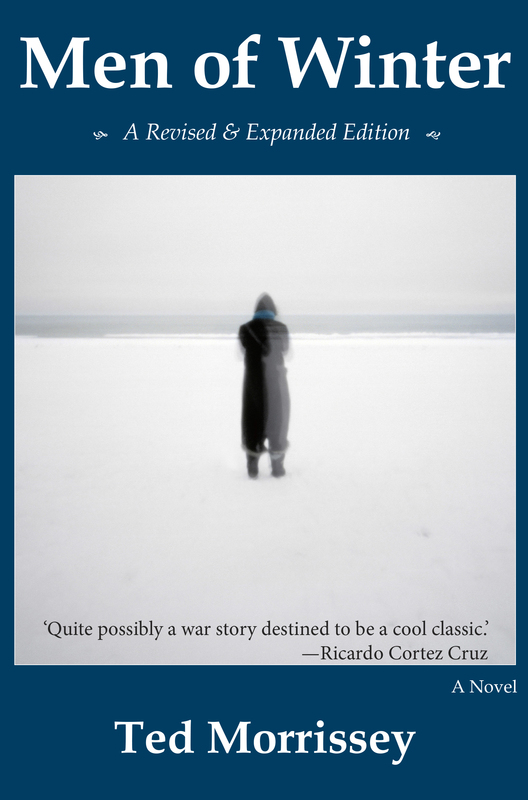 Calling equally to mind Tolstoy and Homer, Men of Winter is an engrossing odyssey along the edge of the world in which strange figures emerge, each influencing the narrative trajectory, and then mysteriously ebb back away into the wartime ether. Unlike most first novels, Men of Winter fails its reader only in that it is over too soon. In a novel where the police have gone elsewhere, Ted Morrissey takes us on a wild ride into a wasteland of snow madness. We find ourselves situated under a colorless sky and clearly on the slopes leading toward a jagged edge. There’s no escaping the climbing tension. Morrissey hits us here with an avalanche of awareness, giving us every painstaking detail, every nuance. He has learned many things as a writer, and he shows off all of them here in this masterly feat. Men of Winter is quite possibly a war story destined to be a cool classic … a chillingly weird nightmare of death that you never want to bury. The author reading Chapter 5 of Men of Winter at the Hearst Center for the Arts in Cedar Falls. Iowa.